Last year in 2017 the Desert Inn, home of the GIGM Globex Gem & Mineral Show, closed for remodeling. All rooms were remodeled and equipped with new furniture, new bathroom fixtures, a remodeled lobby, two-room suites. The goal of Piush Patel, owner of the hotel and the three GIGM Tucson shows, was to provide better accommodations and better facilities for guests and dealers and vendors at the shows. 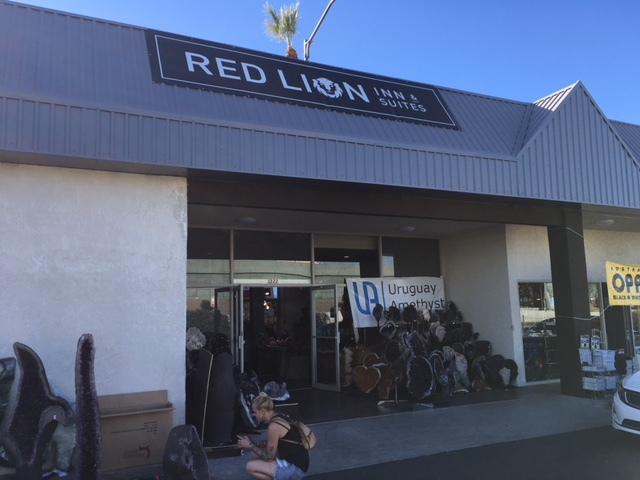 Be sure to visit the Red Lion Inn & Suite by the closing of the show on Feb. 11, 2018.